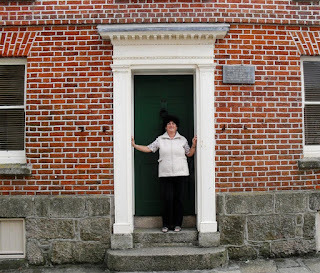 This July 2010 I went to Penzance in South-East Cornwall looking for any information I might gather about Maria Branwell and her family. It was a journey I had longed for from a lot of time and I expected to find there people or documents related to the Branwell family and consequently to the Brontës. In the end I realized, as in Scarborough in 2001, that in Cornwall the Brontës’ existence in local people’s awareness is very limited or nonexistent. After arriving at 25 Chapel Street I found a lonely house seemingly with no person living in it and only a plaque on the front wall to speak of the Branwells-Brontës. 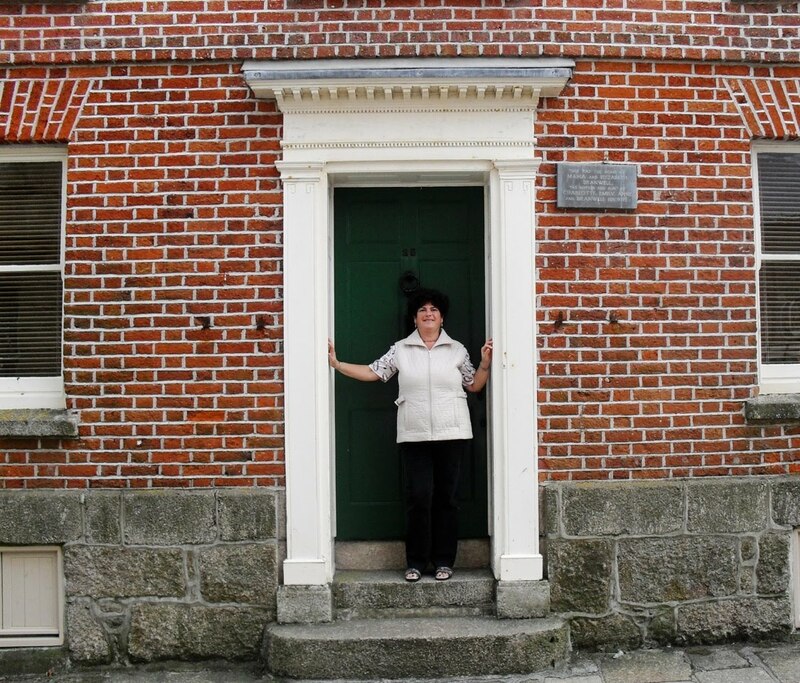 On the threshold I knocked and knocked at the green door but nobody came to open it. 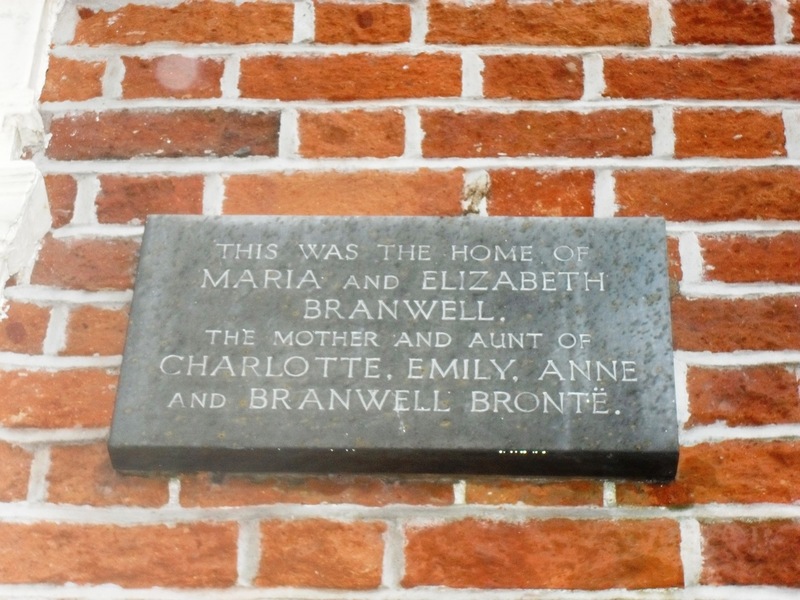 Afterwards I knew from the bookseller nearby that effectively the house is now empty and there are no other Branwell heirs after Miss Frances Branwell who died in 1993 in very old age. 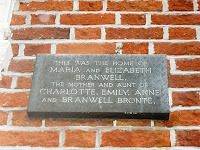 At home in Italy I had often read in the 1975 issue of Brontë Society Transactions the article by the late Charles H. Lemon and looked at the photo of the unveiling ceremony of the plaque in September of that same year. In it some Branwell-connected people can be seen - like Mrs. J.E. Tripp, a niece of Miss Frances Branwell, and her two grown up children. In the article the author underlined that the interior of the house, restored by the then owner-occupants Miss Lilian Oldham and Miss Richards, distinctly reminded people of the Parsonage in Haworth, with the same archway and a grandfather clock standing where the stairs begin. On the right of the front door there was at the time the room known as the Brontë room with portraits on the wall related to the Branwell family. Where are the Tripps now? Are they living somewhere in Cornwall or in the world? It is really a pity to see this famously Brontë-related house so neglected and empty. If sold and bought by a Brontë fan couldn’t it become a sort of Brontë-Branwell museum after the main one at Haworth and a luckier site than the Thornton birthplace? The weather in Cornwall is mild, the landscape beautiful and tourists flock there from all over Europe: according to me it might be a wonderful and rewarding idea to realize and the best way to preserve this far-away Brontë-related treasure! The Society's recently-departed President, Gyles Brandreth, is soon going to appear in Edinburgh as a stand-up comedian. Let's hope it's a big success! Find it in the Pleasance Courtyard 4 - 30 August. His group is Bound and Gagged Comedy.